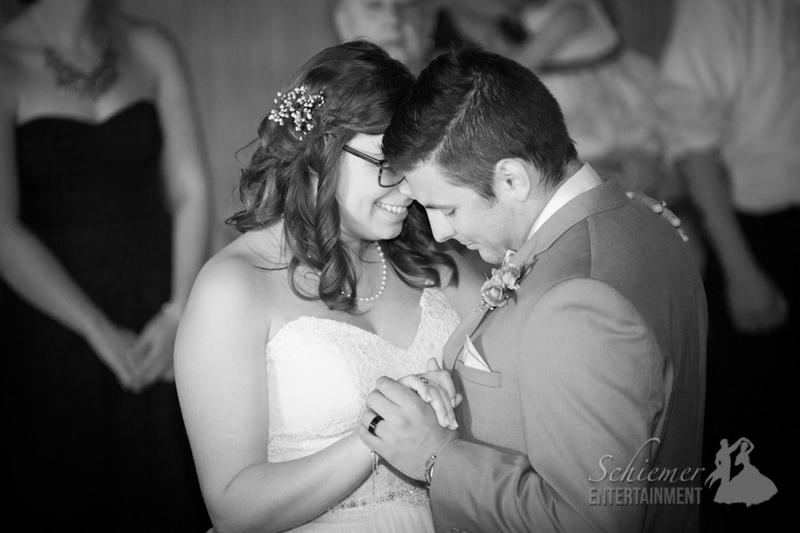 Doing something truly different for your reception can be scary, but the results can be amazing. 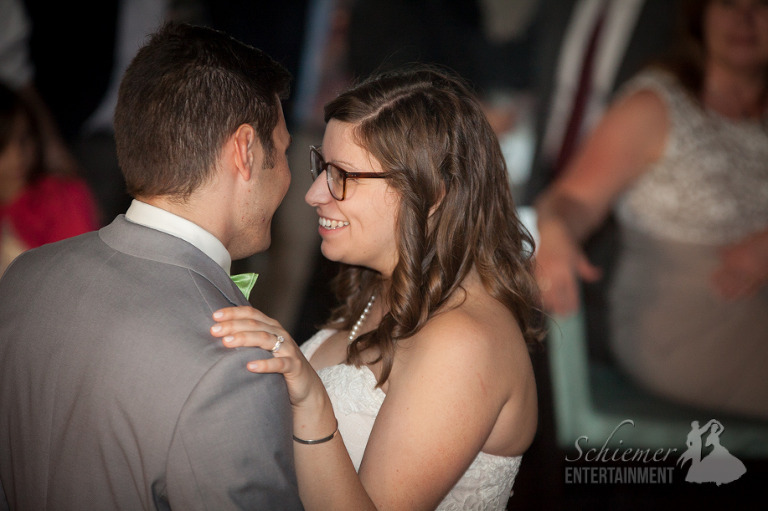 Kiera and Matt’s choice to have their celebration at Perlé champagne lounge in Market Square was the perfect choice. 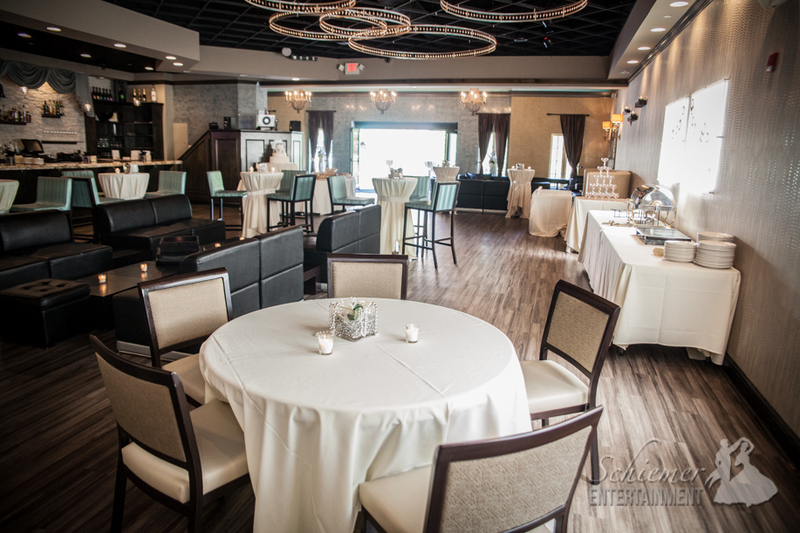 Instead of a traditional sit-down dinner, guests were able to mingle, sit on the couches, and enjoy the wonderful Spring weather. 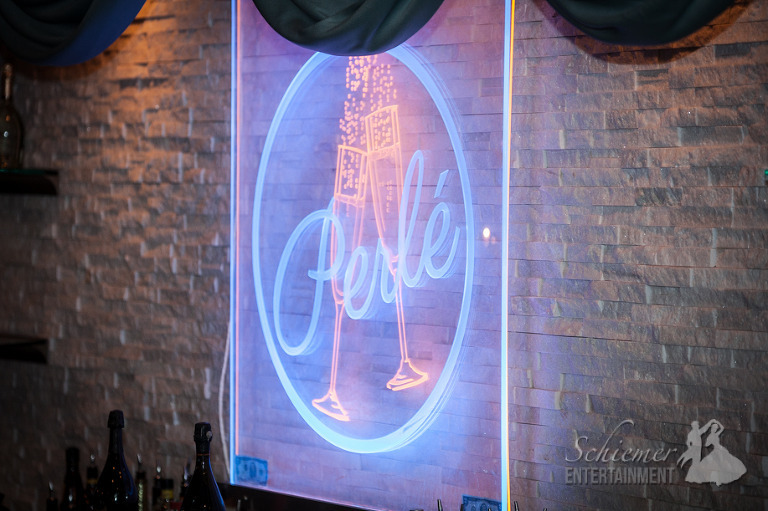 The vibe at Perlé set a wonderful, relaxing atmosphere for the newlyweds’ friends and family to enjoy. 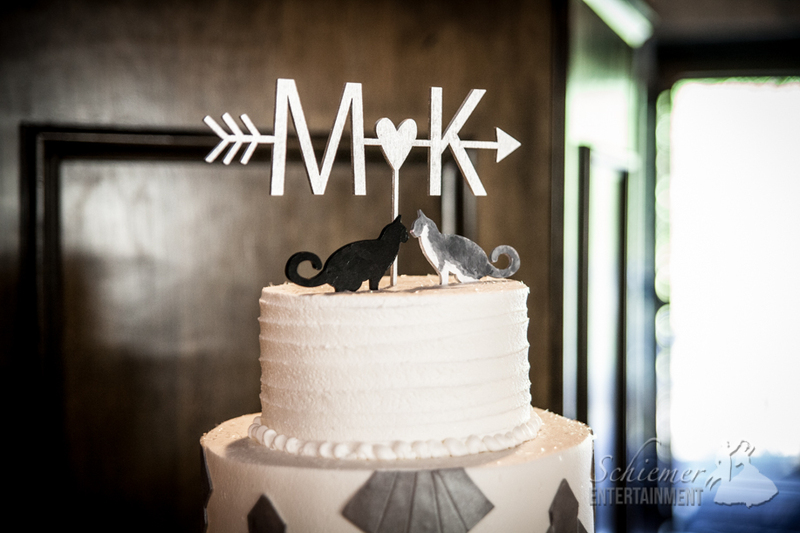 I loved their custom cake topper which featured Kiera and Matt’s cats! Kiera and Matt’s guests enjoyed cocktails, food and a great view on the balcony. When dusk arrived, it was time to get the music going, and no one hesitated to join in the party. 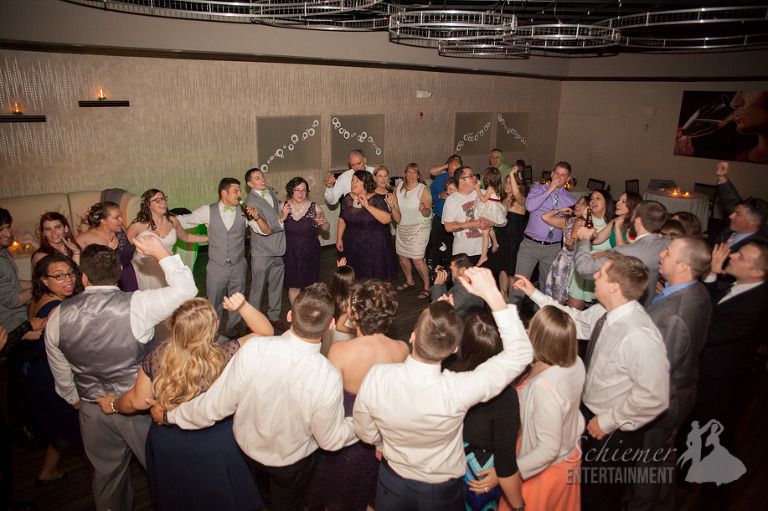 Guests of all ages crowded the dance floor to sing, dance and get crazy. 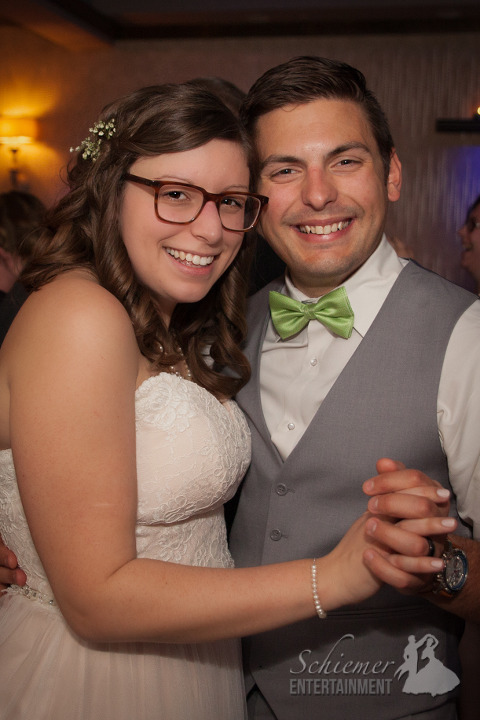 The happy couple made excellent choices on what would be the perfect match for their wedding reception. They appear to have made another excellent choice as they prepare to leave for their honeymoon in Ireland!